One of the most powerful women in British politics has accused the Tory Party of deploying “dangerous” levels of hatred towards Muslims to win elections. The reason why this story caught my eye is that it came from WITHIN the ranks of the Conservative Party and from the former chairwoman Sayeeda Warsi. 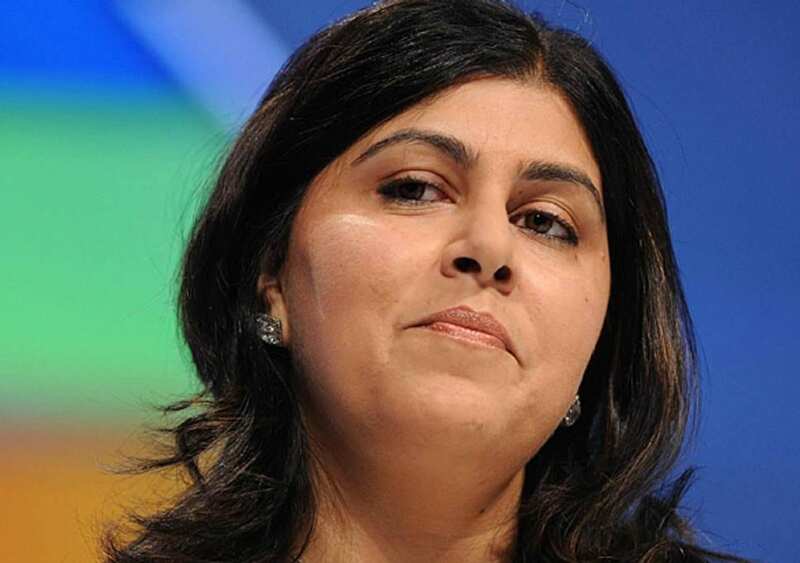 Baroness Warsi, a senior Foreign Office minister, who resigned in protest at the Government’s policy on Gaza, describing it as “morally indefensible” back in 2014. Hundreds of women and children had lost their lives in the brutal onslaught of Gaza by the Israeli military in 2014. Announcing her resignation on Twitter she posted a full letter to Prime Minister David Cameron – a move which would signal the end of her career as a government minister. The high-flying lawyer was consigned to the political boondocks after she dared to criticise Israel’s brutal actions. Until then she used her influence to stop the Tories from adopting some crackpot laws including a ban-the-burka position which she said would be like trying to ban miniskirts. She was also critical about the number of Etonians at the heart of Downing Street. As a result the party closed ranks to silence an important voice but make no mistake, in terms of blue-on-blue action her accusations this week are colossal. She has completely undermined Home Secretary Sajid Javid who was dismissive last month of calls by the Muslim Council of Britain (MCB) for an investigation into what others also view as institutionalised islamophobia within the party. Javid, who says he’s not a practising Muslim (although like most of his ilk, has plenty to say about how it should be practised and interpreted) swept the MCB aside saying the council did not represent all Muslims, adding he was very “suspicious of anything that they’ve got to say”. Well I wonder if he’ll listen to Sr Sayeeda? The bullies in blue will no doubt try and muzzle her but when the first Muslim woman to enter the Cabinet as a government minister shouts “Islamophobia” then we are all bound to listen. One of the chief architects to blame, she reckons, is key Tory Michael Gove who she accuses of holding “extreme views” and blames him for the “Ukipification” of her party. Certainly when examining how the party ran its campaign against London Mayor Sadiq Khan the evidence is there for all to see. Even the Tory candidate, Mr Nice Guy Zac Goldsmith, publicly disowned some Conservative-led material linking Khan to the July 7 bombings in the English capital. Her stinging criticism of the party in Business Insider should be treated as a gift by Labour leader Jeremy Corbyn who has already demanded an investigation into claims of Islamophobia within the Conservative Party. I know Baroness Warsi and she’s not given to making hysterical soundbites for the sake of a few headlines. Politically we are polls apart but I’ve a deep respect for her views and integrity. Her opinions, once valued by former PM Cameron, are no longer listened to and it’s quite clear the Islamophobes, bullies and misogynists that fill the Tory party have chosen to close ranks to try and shut her down. This is not going to happen … she has more backbone and grit than most of the elite and privileged sops and rakes filling the Tory green benches today.